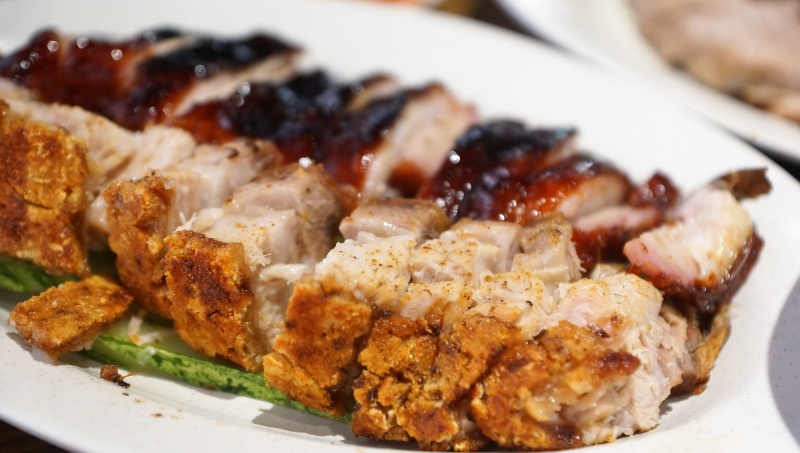 88 Hong Kong Roast Meat Specialist is highly raved about for its roast meat and noteworthiness. 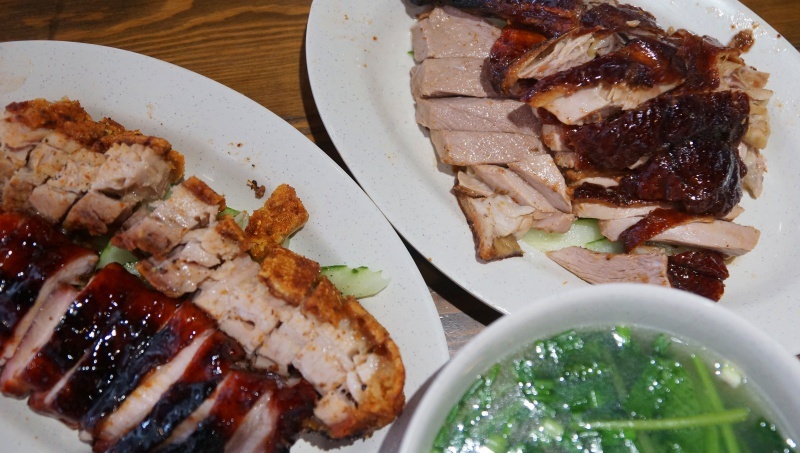 Besides the roasted pork, 88 Hong Kong Roast Meat Specialist offers both Char Siew and roasted duck as well, choice of rice or noodles are available to go with the food. We decided to explore all the different meats on display and went for the mixed platter that consists of roasted duck, roasted pork and char siew. The meat was tender but could be more moist, however, taste was acceptable but nothing to shout about, we would prefer it if the seasoning was more intense to heighten the overall flavour. 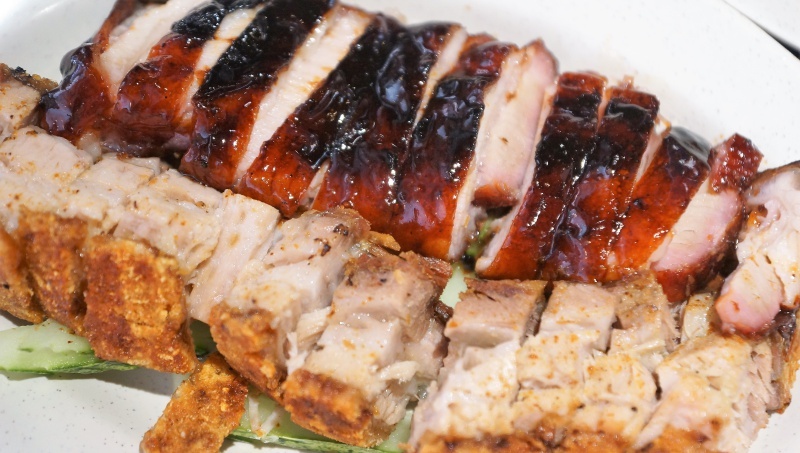 The Char Siew was nicely caramelised to a deep crimson red with a lovely sweet concoction. The char flavour was distinct and biting into the smokey, caramelized skin was simply tantalizing, unfortunately that was the best it could go. The seasoning was apparently not able to permeate beneath the skin and resulted in a char siew of ordinary flavour. The sought about meat truly lived up to its name, the sio bak was obviously selected to have the most ideal portion of lean and fat content. 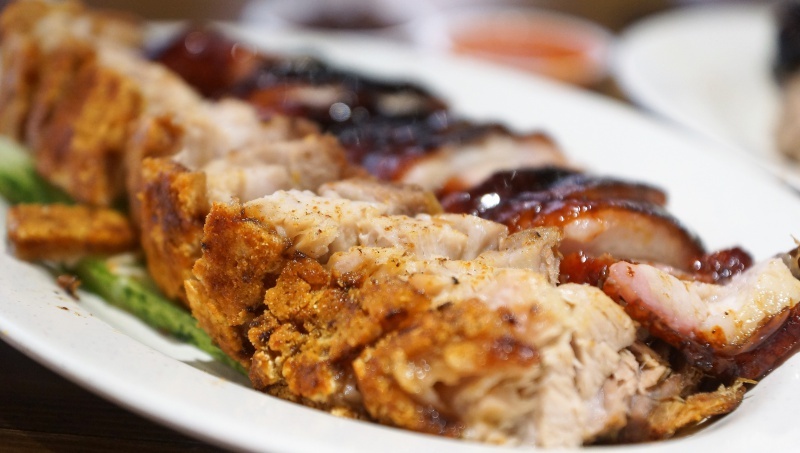 Skillful roasting process further transformed the well-seasoned meat into the best sio bak. Every bite into the meat went beyond awesome, we loved everything about the sio bak, from the crackling skin to the tender and flavourful pork. 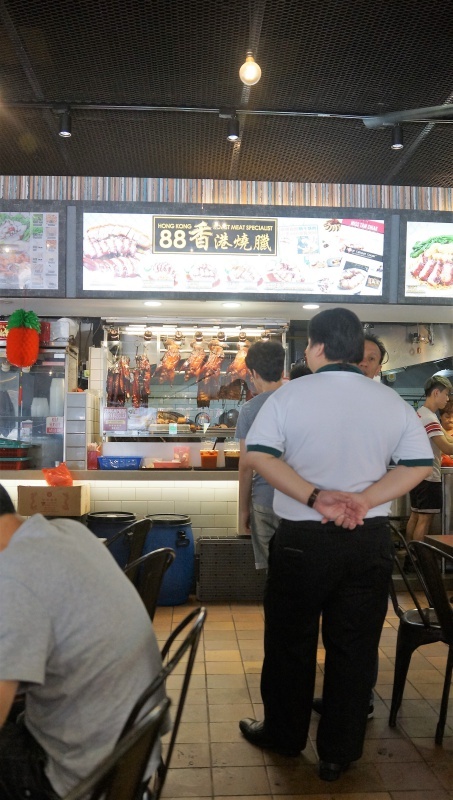 All of us unanimously agreed that 88 Hong Kong Roast Meat Specialist has one the best sio bak in town. Dipping chili sauces were damn good as well; it went perfectly with the meat. 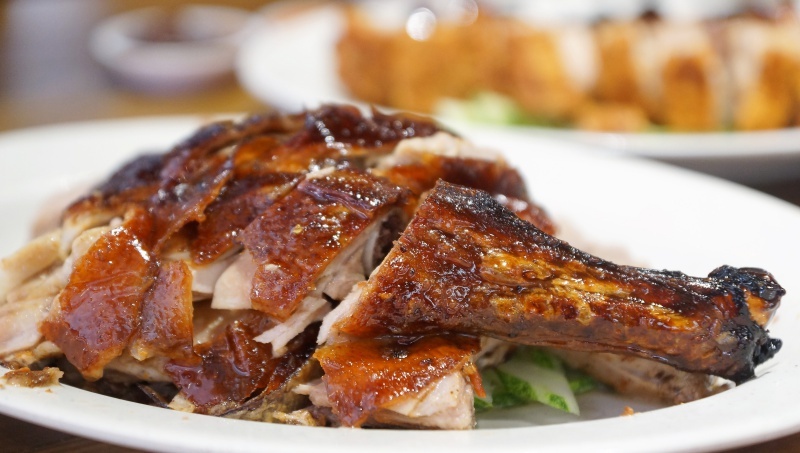 If you are a roasted pork or sio bak lover, 88 Hong Kong Roast Meat Specialist is a no-brainer choice for its sublime taste and texture The roasted duck and char siew are probably peripheral to the star sio bak.